many thanks to Sequoia Productions (bravo, Cheryl Cecchetto!) as well as Ava Surrena and the Television Academy for hosting a fabulous evening and ball for the Creative Arts Emmy Awards. we asked katie and her husband to put on something fancy and bring back photos of their enchanted evening. 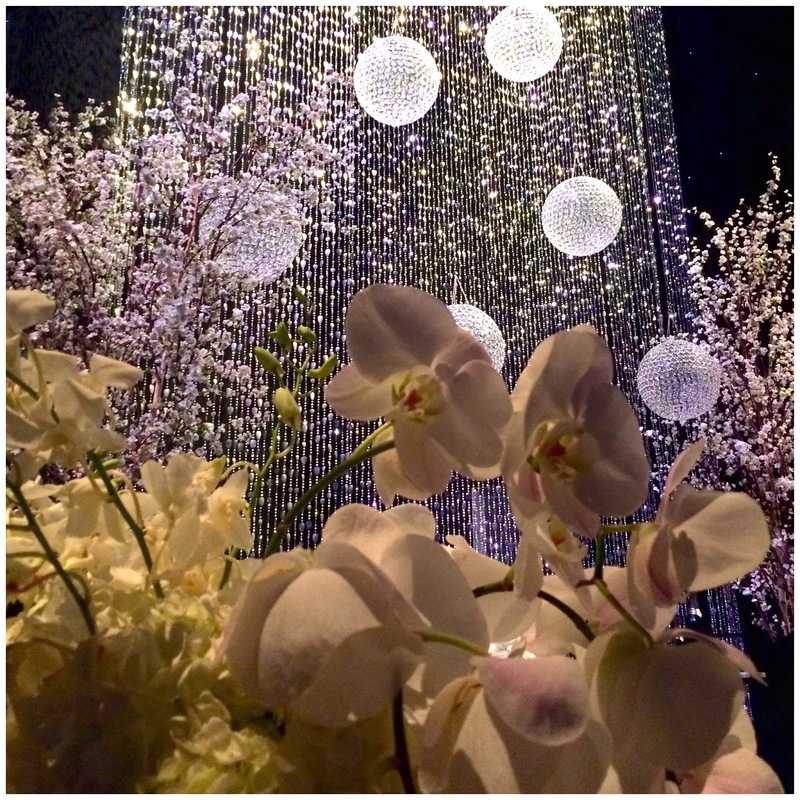 the theme of the Governor's Ball this year was "reigning with radiance" - sparkling chandeliers dripped from the ceiling and blooming white trees and orchids created an enchanted vibe. 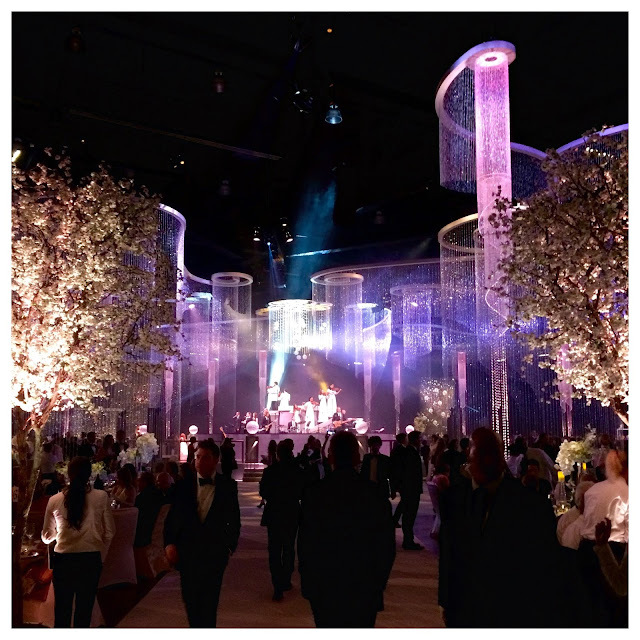 on a rotating stage in the center of the room an orchestra played through dinner and later, boys II men brought everyone to the dance floor! 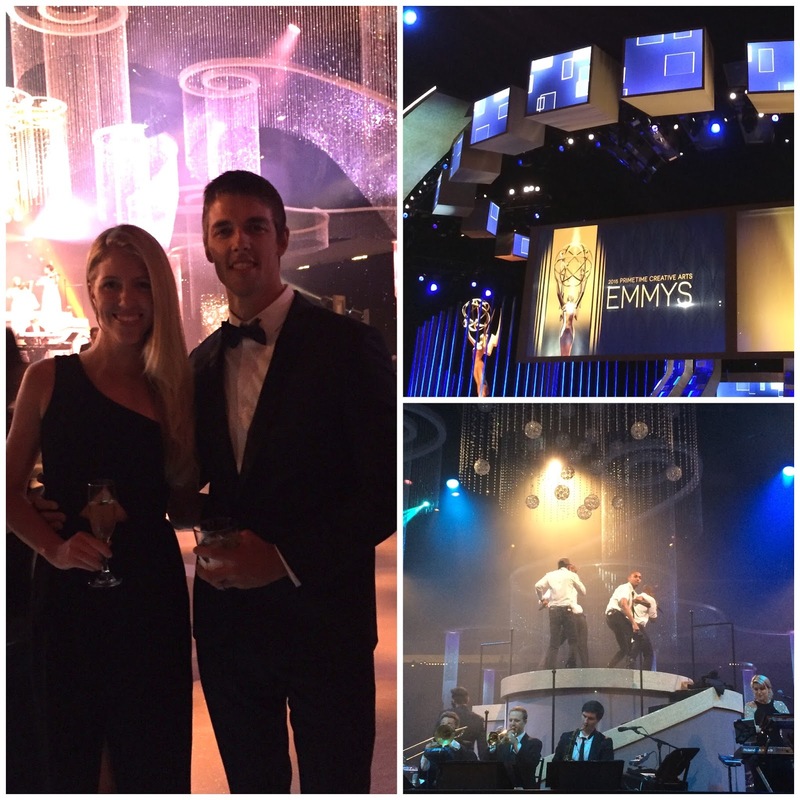 gold statuette or not, it was a celebration and evening to remember!